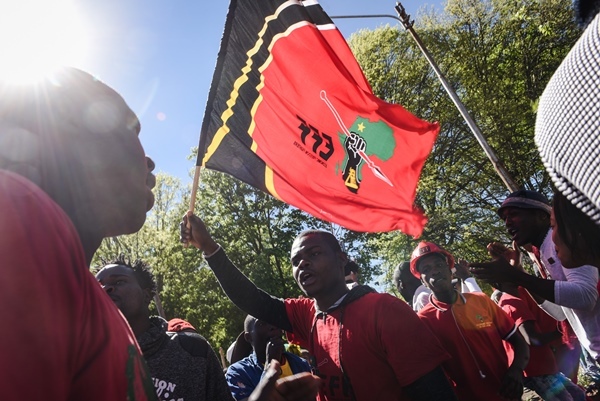 It would be easy to dismiss the Economic Freedom Fighters (EFF) as populist, racist or socialist … because it is all of those things at various times. Yet, it would be dangerous to paint the EFF as extremists who hover around the fringes of society. Their well-organised and well-attended election manifesto rally over the weekend at Soshanguve in Tshwane showed that not only is it capable of holding big events, but also that it has put a lot of effort and thought into its blueprint for a future South Africa. Its 168-page elections manifesto put those of other parties to shame with its detail. In its manifesto, there are multiple references to rural areas – both to their problems and the EFF’s plans for them. This suggests, at the very least, that the party has people on the ground across the country, giving the lie to some analysis that paints it as an urban-focused entity. The manifesto is populist in its lofty promises and the party’s ideology – particularly when it comes to its main themes, land and jobs – has strong appeal in a poor, unequal country like South Africa. All of this indicates that the EFF could do better in the upcoming polls than many experts have forecast. We believe it is not beyond the bounds of possibility that the EFF could oust the Democratic Alliance as the official opposition. However, the triumph of the EFF could be deeply dangerous, even if it does not take ultimate power. The party’s manifesto is the same pie in the sky ideology that has failed the world over, most notably and recently in Venezuela, an EFF favourite. A strong EFF would mean the ANC would be forced into a coalition with it … and those disastrous policies would be pushed on to centre stage.